Michael exercises six days a week to build strength. He built forearm strength by designing smart workouts for himself. Why are my forearms thin? Do you forget to exercise your lower arms? Upper body workouts tend to focus on the biceps and triceps. Pull or push for bigger stronger arms. While you are working out your triceps and biceps, you may be neglecting your forearms. 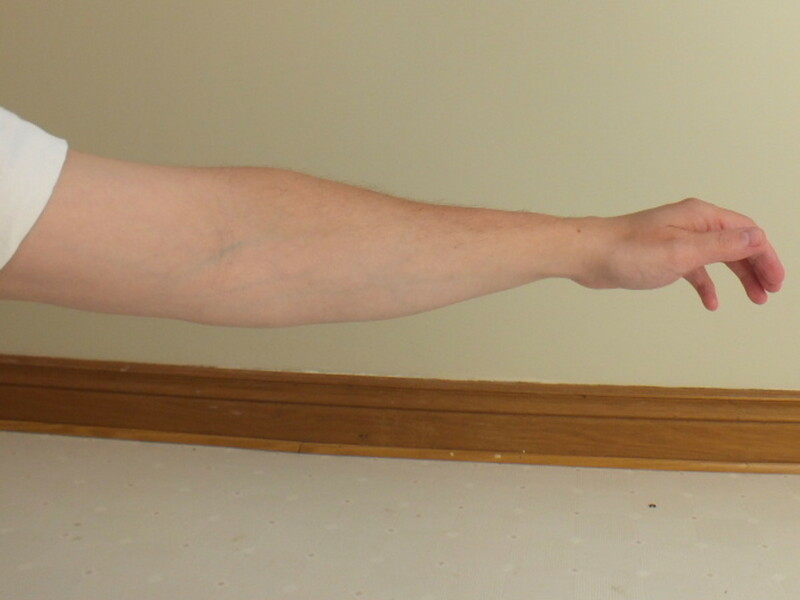 The lower arms are often overlooked because your forearm muscles do not move your arms. Upper body workout routines that work out your chest, back, triceps, biceps and abs may not work your lower arms hard enough. After I increased the size of my biceps and triceps doing arm exercises, my lower arms were still thin. The arm workouts I was doing for bigger stronger arms were working the arm muscles above my elbows. If your forearms are thin, then you are probably not exercising them enough. How do you strengthen your forearms? The muscle in your upper arm bend and straighten your elbow. Allowing you to flex and extend your arms. The muscles in your lower arm move your wrists and fingers. 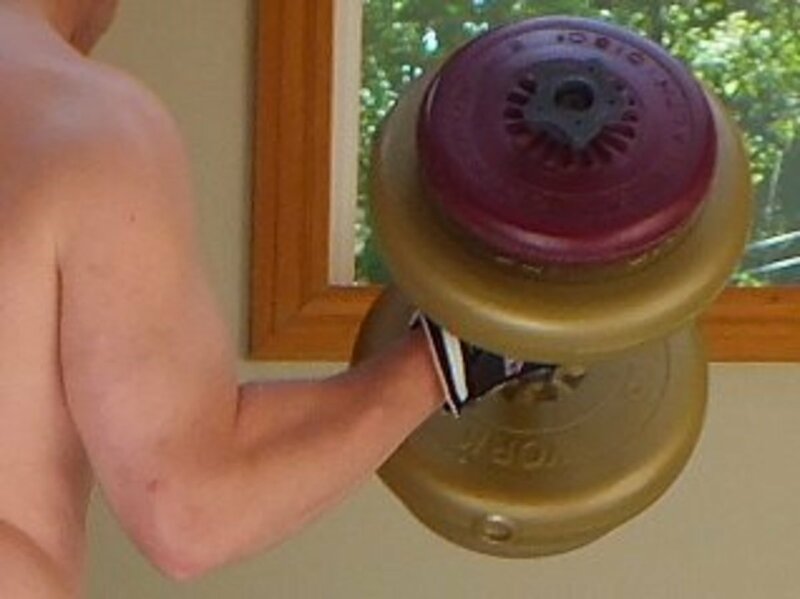 To get bigger stronger forearms you need to focus on increasing your grip strength. Exercise your wrists and fingers. You can curl your wrist, roll with your fingers and wrist, squeeze hard to improve your grip strength or push with your fingers. 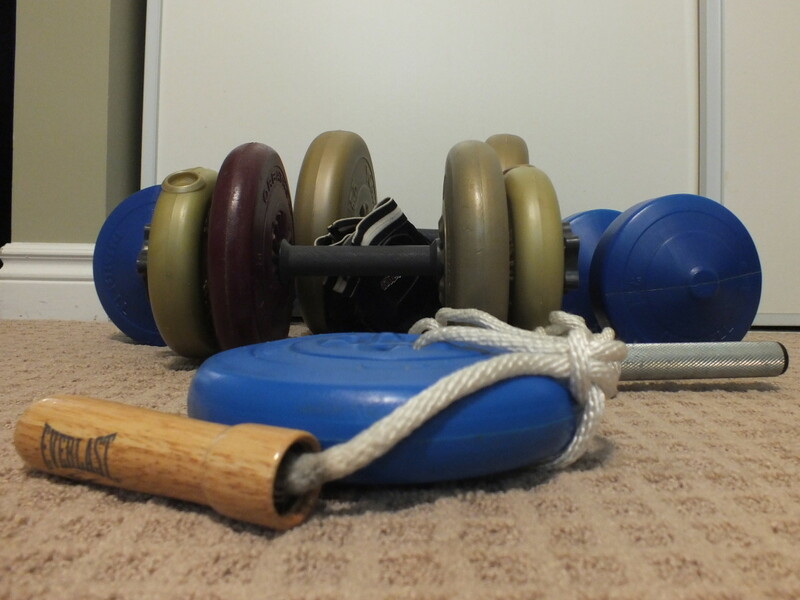 If an exercise targets the muscles in your lower arms then you can get a good workout using light weights. If it focuses more on your biceps or triceps then you will need to use really heavy weights to work your forearms enough. Weight lifters can workout their lower arms doing bench presses and deadlifts with really heavy weights. They use their forearm muscles to grip the barbell. A wrist roller is a short bar with a rope in the center that is tied to a weight. You can buy a wrist roller or make your own. 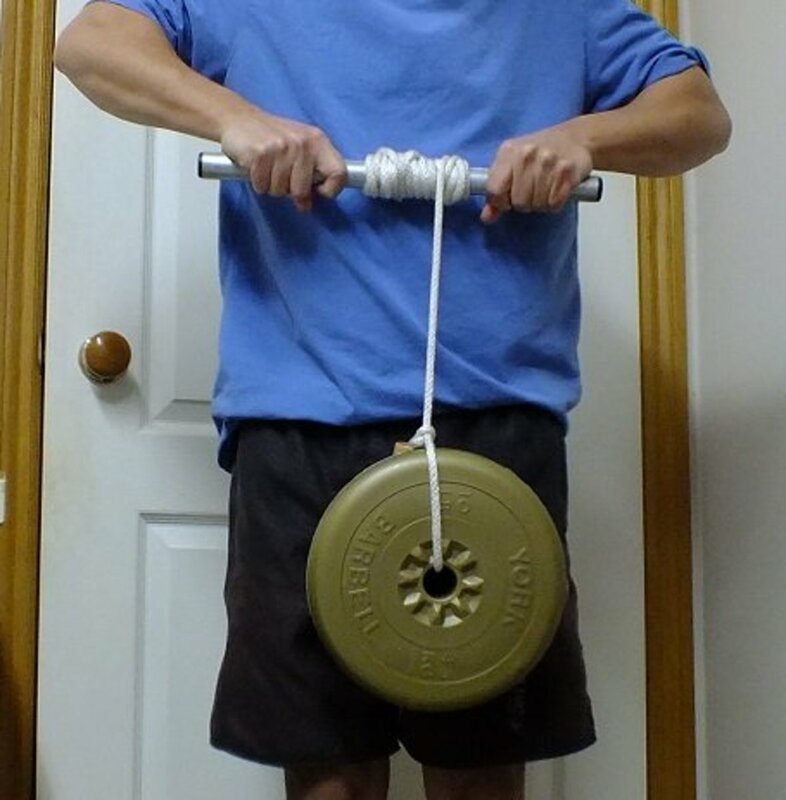 I tied an old jumping rope to a weight plate. Then I tied the other end of the rope to a dumbbell bar and wrapped the rope around it. Start with a light weight. Hold the wrist roller close to your body and roll the weight up and down. Lower it near the floor then raise it back up to the bar. 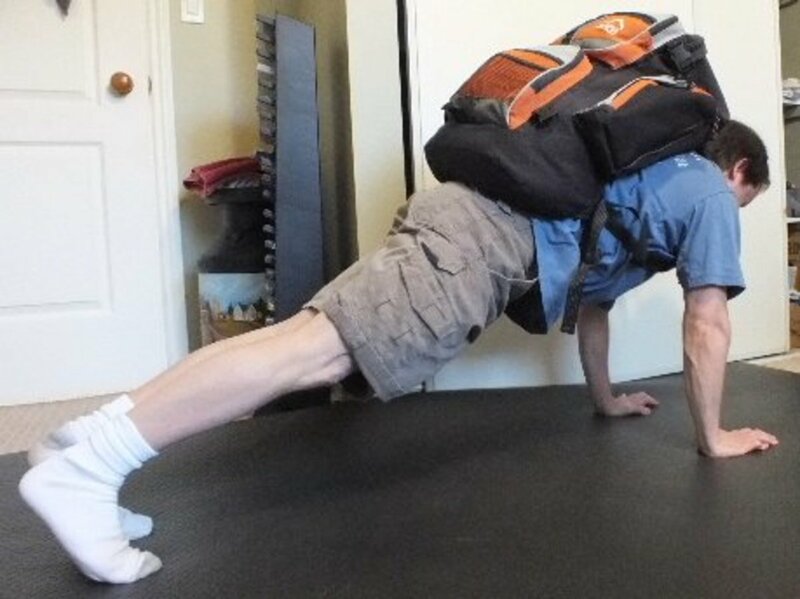 If the weight is heavy enough then you should only be able to do 2 to 8 reps. You can increase the difficulty by increasing the distance you roll the weight and by increasing the weight. Make sure your hands are close to your body. I started doing wrist rolls once a day. The first thing I noticed was that the exercise is harder than it looks. I could barely do 2 reps with a 5 pound weight. The second thing I noticed was that I could really feel the burn. During the exercise and for few minutes after I could feel the burn in my forearms. It kind of hurts and feels good at the same time. My lower arms felt like they were getting bigger and stronger every time I did the exercise. The workout only took around a minute to do and I only needed to do it once a day. So getting into the habit of doing wrist rollers once a day was easy. I took a day off once in a while to give my muscles time to recover. Will push-ups make my wrists and forearms stronger? Most push ups variations will not give your lower arm muscles a good workout because they do not work your wrists and fingers hard enough. Doing push ups on your knuckles works your forearm muscles harder than doing push ups with your hands flat on the floor. Doing push ups on your fingers works your lower arm muscles more than doing them on your knuckles. 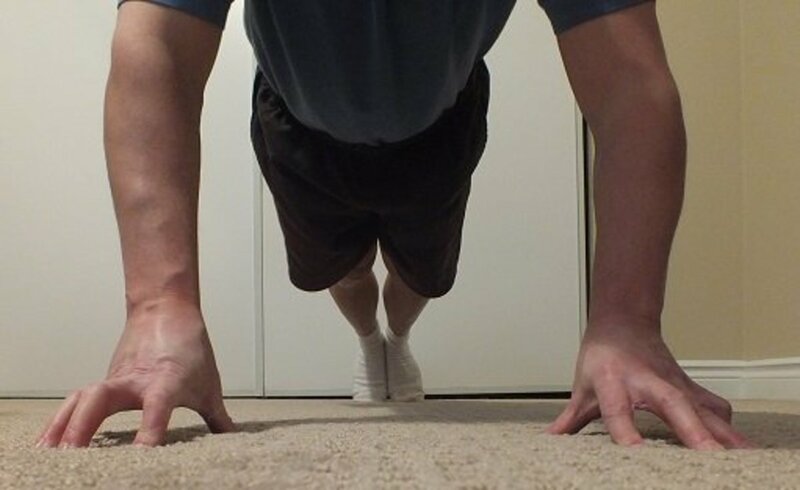 Finger push ups require really strong fingers, wrists and forearms. Doing finger push ups is a good test of strength because most people can not do them. While attempting to do a finger push up it can feel like your fingers are going to break. Before your lower arms are strong enough to safely do finger push ups you will probably need to do other exercises. I could not do any finger push ups. After 2 weeks of doing wrist rolls I tested my strength by attempting to do finger push ups. I did 2 finger push ups fairly easily. A week later I tried again and did 4 finger push ups. Before I started working out my forearms with wrist rolls I could do 0 finger push ups. 4 weeks later I could do 6 finger push ups with good form. If you want to increase the number of finger push up you can do then do wrist rolls to increase your forearm strength. If you are rolling to strengthen your lower arms then do finger push ups to test your strength. Finger push ups are the best type of push ups for strengthening your lower arms but you need strong forearms to do them. 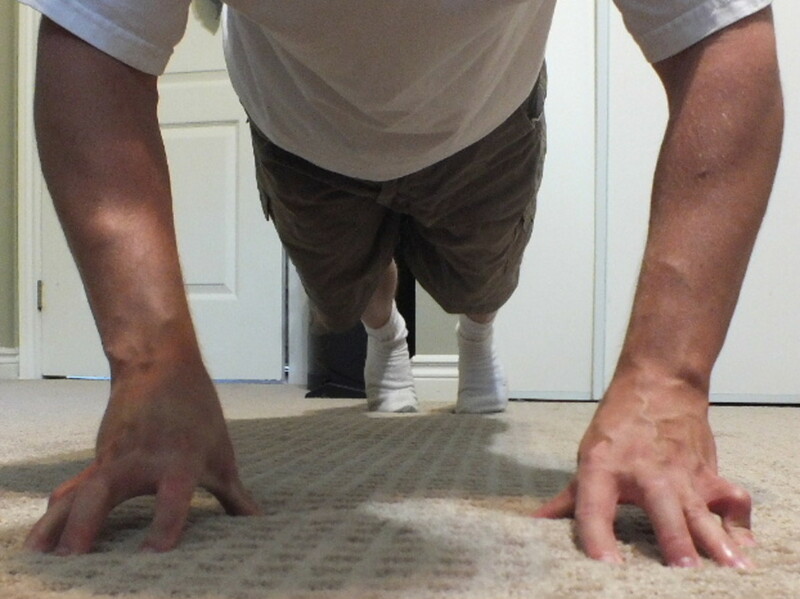 Knuckle push ups are easier to do but they do not work the lower arm muscles hard enough. Do you want bigger forearms? 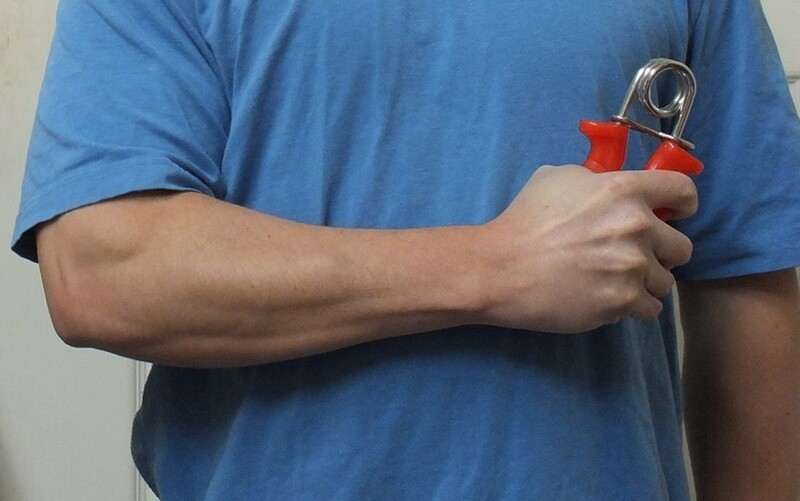 Increasing your grip strength can be very useful and large lower arms look good. Weak muscles hold you back, especially when those muscles move your fingers and wrists. Wrist rollers focus on your forearms like bicep curls focus on your biceps. If you do them once or twice a day and gradually increase the number of reps, the distance and the weight then you should be able to build a lot of muscle. If your rope is long enough then you can increase the distance you roll the weight by standing on a chair. It should only take one or two sets a day. You do not need to do a lot of sets or a large number of reps per set unless you are doing it as an endurance exercise or the weight is too light. As your strength and endurance increases so will the size of your muscles. Trying out out other lower arm exercises like finger push ups, hand grips and the farmer's walk is a good way to test your strength and it adds some variety to your workout. 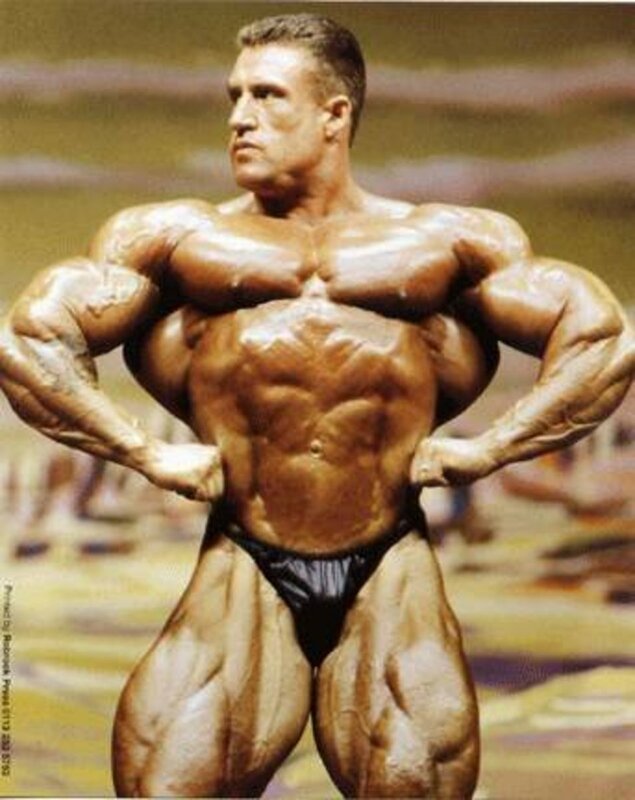 To do the farmer's walk you hold heavy weights at your sides and walk. To work your lower arms more while lifting or carrying weight, grip the weight plates instead of using a bar. While doing pull ups put a towel around the pull up bar and grab both ends of the towel instead of the bar. Are wrist rollers the best forearm exercise? Wrist rolls really focus on your lower arm muscles. They can be done at home and it only takes a minute or two to do them. It is easy to increase the difficulty. If you do not want to buy a wrist roller then you could probably make your own for free. I tested a lot of different exercise. Wrist rollers seemed to be the best exercise for increasing my forearm strength. Before, when I tried doing finger push ups I felt like my fingers were going to break. I could not even do one. After doing 1 quick wrist roller workout a day for 30 days my forearms were bigger and stronger. I could do 6 finger push ups in a row. That proves to me that they are a great lower arm exercise. Wrist rollers are my pick for the best forearm exercise for strength and mass. My forearms are a lot bigger and stronger now. I can do 14 finger push in a row. Nine while wearing a weighted backpack. Before I could not do any. For my forearm workout I was doing 10 wrist rolls in a row with 15 pounds. The first time I did the workout I had a hard time doing 2 reps with 5 pounds. Recently I began doing the exercise with 20 pounds. 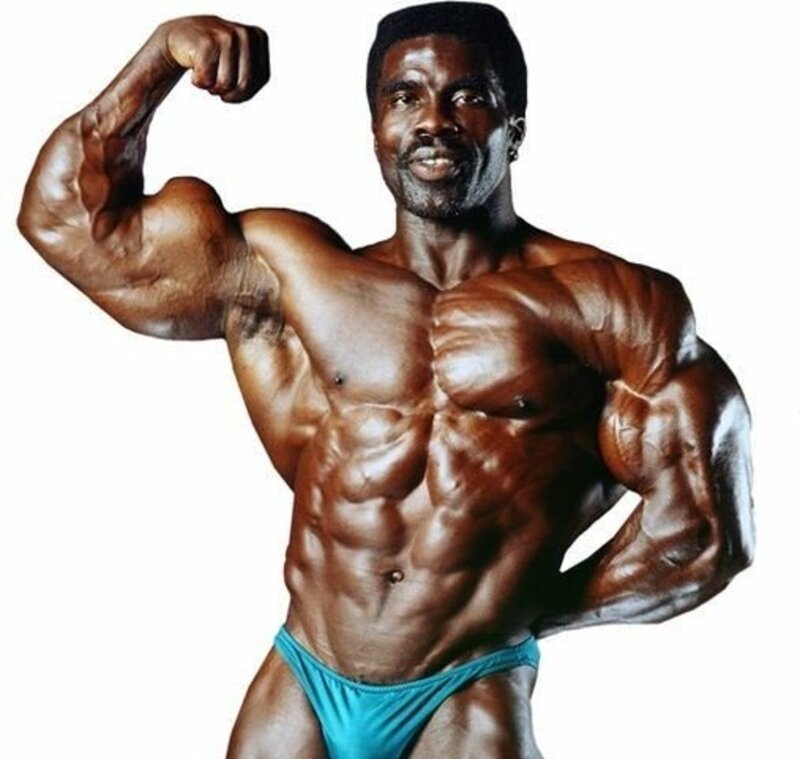 How can I get bigger forearms fast? To get bigger forearms fast I recommend starting with a wrist roller workout using a light weight. Do 2 to 10 reps per set. One to 2 sets per day. Work at increasing the number of reps. When you can do more than 8 to 10 reps in a row add more weight. Then start again with the heavier weight. After 2 to 4 weeks include some other lower arm exercises like knuckle push ups and finger push ups. Focus on increasing your strength and the difficulty of the workout. Limit the number of reps, the number of sets and the number of days per week. It should be done as a strength workout and you should give your muscles time to recover. Your muscles need rest to grow. I recommend taking 1 to 2 days off each week depending on how much time your muscles need to recover.